Liverpool will play Bayern Munich in the last 16 of the Champions League this season, and Jurgen Klopp is relieved his side weren’t drawn against two others. The Reds booked their place in the next round with a 1-0 win over Napoli last week, but finishing second in Group C ensured a difficult draw regardless of the opponents. They could have been pitted against any of Bayern, Barcelona, Real Madrid, Juventus, Borussia Dortmund and Porto, with Niko Kovac’s side perhaps one of the favourites among supporters. 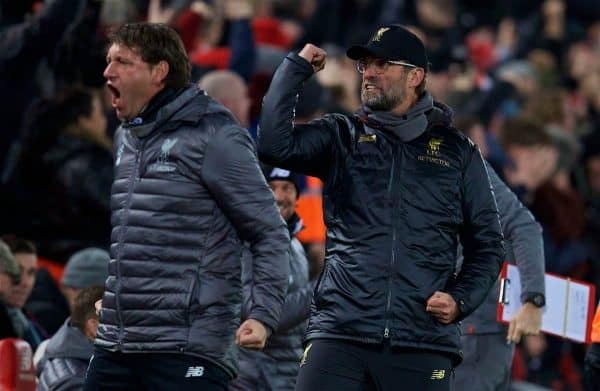 And speaking at his pre-Wolves press conference on Tuesday afternoon, Klopp revealed the two sides he was happy to avoid in the last 16, for two very different reasons. “To be 100 percent honest, for that round there were only two clubs I didn’t ‘fancy’ really,” he said. “That was Dortmund, to do it that early. From that round on it’s good for both clubs and we will see what happens! “And a little bit Juventus Turin, because for me they’re the absolute favourite for the tournament. “They’re so experienced, because of the age group there. The defence, it’s maybe the last chance for them, and they will [give] everything. “That will be really difficult, to beat Juve this year. 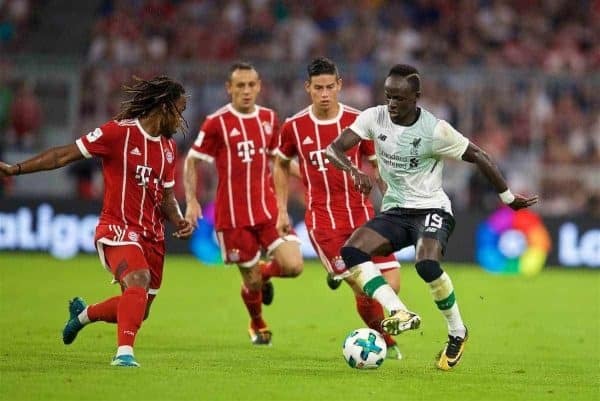 The second leg against Bayern provides Liverpool with an opportunity to return to a city they enjoyed a 3-0 win in during pre-season in 2017. For those who travelled for the Audi Cup that summer there will no doubt be fond memories of Munich’s weather, food, beer and the hospitality of its people, and Klopp was quick to echo this for those planning to visit this time around. “It’s nice for our supporters, I would say. It’s a city we only played [in for] the Audi Cup, I’m not sure if a lot of Liverpudlians were there,” he recalled. “But this time they should go there, it’s just really nice! Maybe still a bit of snow in February, I’m not sure but there could be. “And it’s a massive club, a big, big, big challenge for us. I like that a little bit. “A few years ago if we had Bayern Munich it would feel like ‘wow, there’s no chance’, and the thing is [now] we have a chance and that’s actually enough to know.